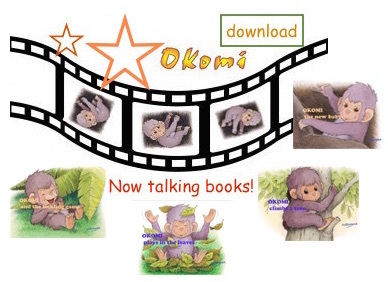 Children love stories about animals and their lives. 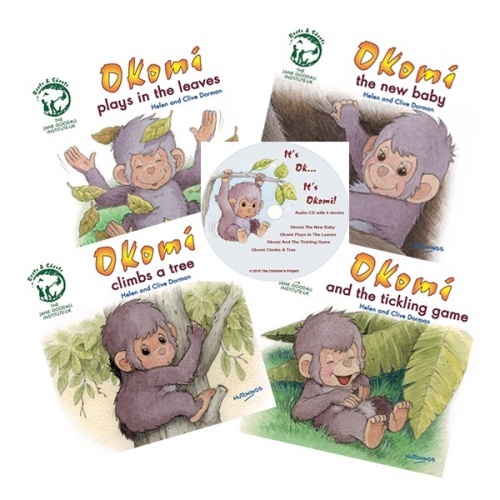 The Okomi stories are lovely, fun and gentle and show it's ok to want to be loved and cuddled - and that it's normal to feel vulnerable at times. 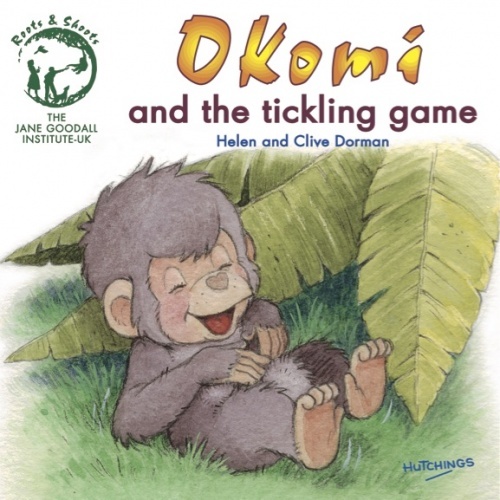 The books read as pure fiction, but they are based on real events recorded by Jane Goodall during her 40 years observation and study of chimpanzees in the wild. The stories cover issues such as fear, illness, eating, surprise, fun, laughter and new experiences. 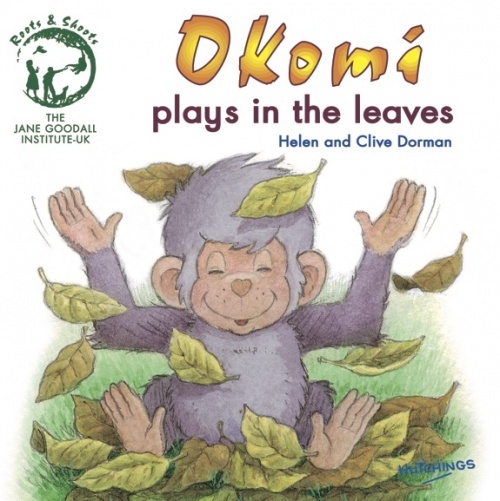 It was Jane who first discovered that chimpanzees made and used tools, and how similar the relationship between a mother chimpanzee and her baby is to that of humans. Mama Du has been away from the group and has returned, but wait - what's that she's holding? 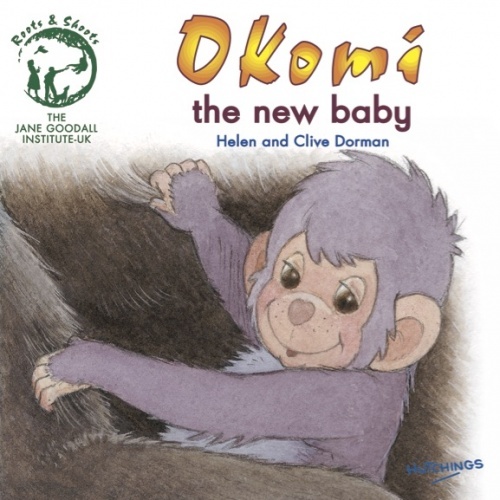 It was Jane Goodall who first discovered that chimpanzees made and used tools, and how similar the relationship between a mother chimpanzee and her baby is to that of humans. 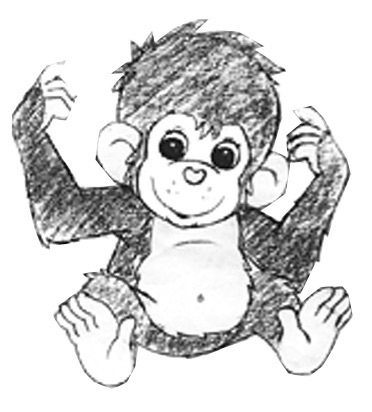 Find out more about Jane's work in the UK. 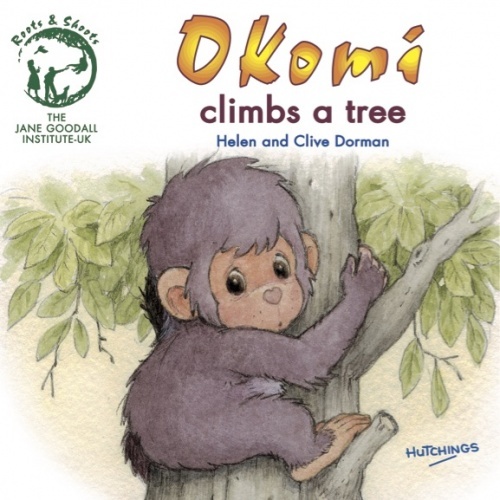 Authors Helen and Clive Dorman bring Jane's work to life in an inspiring series of true-to-life stories. 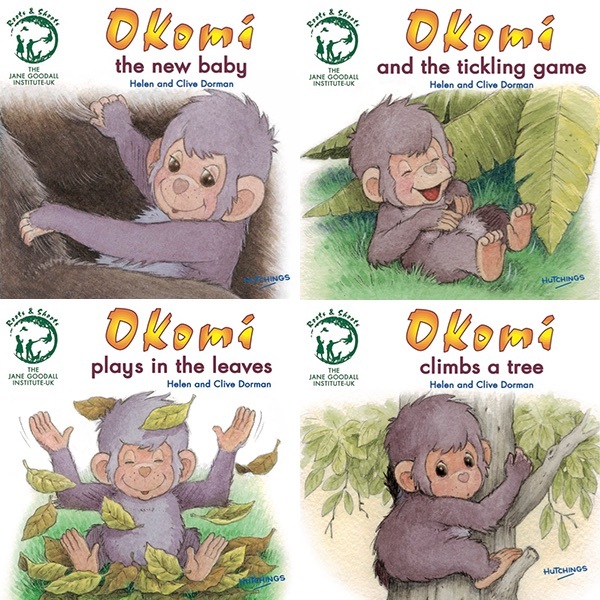 Presented as pure fiction, these delightful and useful books subtly cover many issues like fear, illness, eating, surprise, fun, laughter and new experiences. 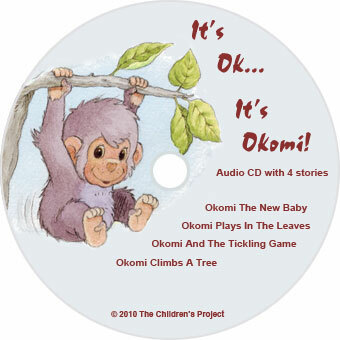 Okomi CD - 4 narrated stories, with sound effects, making Okomi and his family come to life!